of living. However, current sensors for activity recognition have a number of drawbacks such as installation/attachment effort, battery runtime or privacy concerns. In AKTIFUNK, TECO is researching the use of radio signal changes to derive user activities. As this approach may offer an alternative recognition possibility without the mentioned drawbacks. Here the user is not outfitted with a device. Instead the existing wireless infrastructure (e.g. 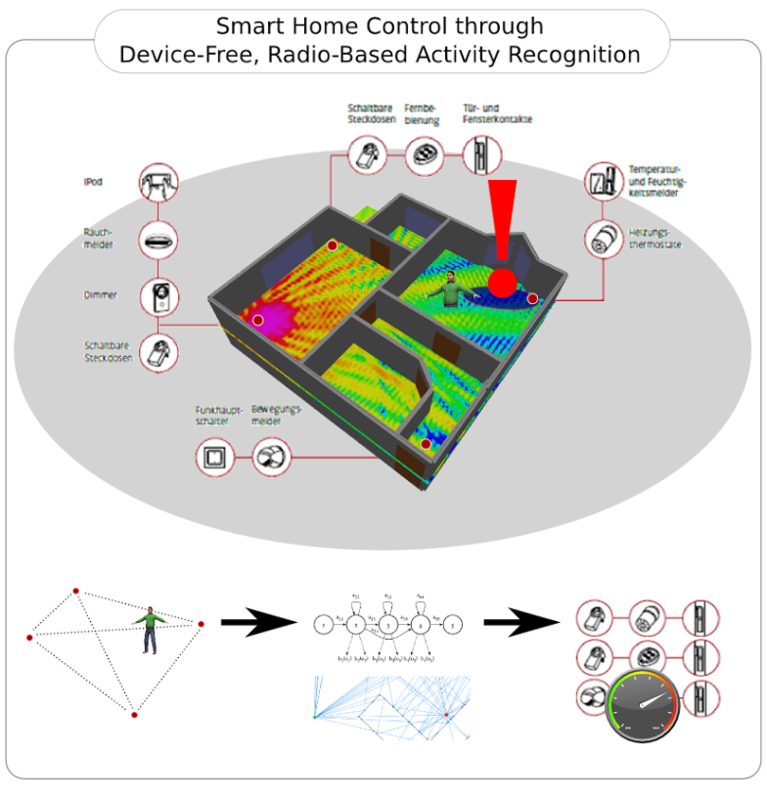 WiFi, GSM, AM/FM Radio, Bluetooth, ZigBee) is concurrently used to determine the human physical activity of the user. More specifically, AKTIFUNK aims to investigate propagation impact of users on the radio signals, develop novel recognition algorithms and evaluate these algorithms regarding practical online recogniton and long-term robustness.